It’s likely that you give yourself less rest than you actually need. Because your mind still thinks you need to DO things and you must get stuff done. It thinks that if you want to have more or achieve more, you should also DO more. Your mind thinks you can’t and shouldn’t be lazy, because that’s bad and/or will never get you anywhere. Either way, you should avoid being lazy too often or at all. 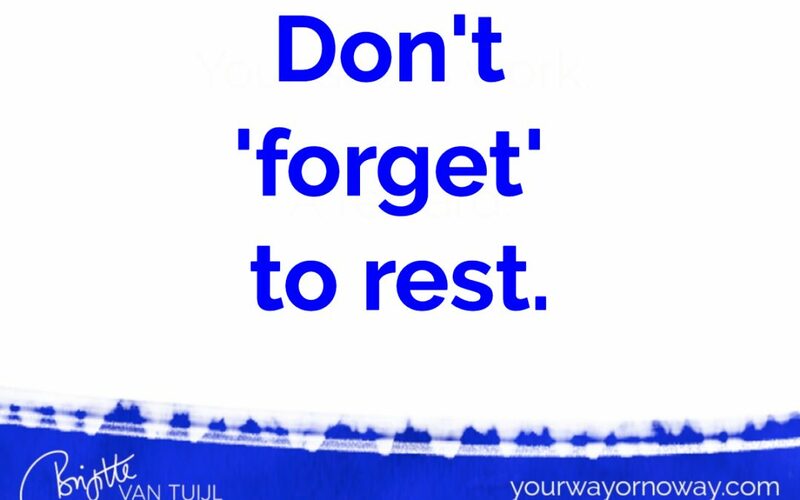 But your body needs rest. Your entire being needs you to slow down every once in a while. It’s great that you have all these goals you want to reach and experiences you want to have. But if you want to enjoy both the journey to that AND the actual receiving of what you want, you need to give yourself the REST you need. I’m pretty sure that 99,9% of the people who read this post need MORE rest than they actually give themselves. Do you give yourself ALL the rest you need? Or maybe….you could rest & relax a little bit more?